Normal loans – Granted 3 times a member deposits and is recoverable in 40 Months. 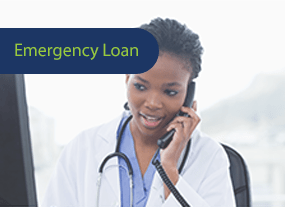 Emergency and School fees - Granted 3 times a member deposits and is recoverable in 12 Months. 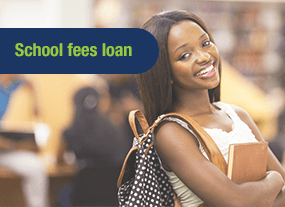 Education Loan Scheme - Granted 3 times a member deposits and is recoverable in 24 Months. 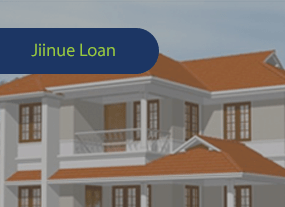 A member must have contributed for at least 6 months to access all the other loans except Asset Financing where a new member is expected to contribute for at least three (3) months before being considered for a loan. A member must attach all the necessary documentation including original pay slips, and copies of ID cards, and any other stated requirements. A member must complete, sign and date the loan form. All the guarantors must provide their details in the loan form. Loan application forms must be endorsed by the delegates as applicable. The SACCO conducts a confirmation search from CRB and any listed member cannot be considered for a loan. Loan processing for short term loans takes 24 hours while long term loans take 48 hours to 3 weeks for Asset Financing with all required documentations in place. Security options for acquiring a loan are: Guarantors (who should be payroll based members of the SACCO), and Title Deeds for urban properties. Loans are granted at 60% of the forced value of the Motor Vehicle Log Books, which do not exceed 10 years old, and must be valued and charged. Other securities include regular remittances e.g. monthly savings, pension remittances, Special Deposit Account (SDA) among others. Repayment and collection will be made either through check off, standing order, pay-bill or cash. Members are allowed to guarantee up to a maximum of 20 long term loan applications. Members with default history will not be allowed to guarantee new loans. Deposits: Any form of deposits or non-withdrawable savings is acceptable such as Special Deposit Account (SDA)/Golden Savings. Land Titles: Land titles for urban areas including Jamii Housing Co-operative Society plot titles. Car log books: For vehicles not exceeding 10 years subject to valuation. Land Share Certificates are not acceptable. Cost of valuation and charge to be borne by the member. Car log books to be co-owned with the SACCO. Land Titles to be charged and member to meet the legal charges. Fosa Loans are available to members whose salaries are processed through the Jamii sawa savings account. What is Jamii Housing Society? During the Annual General Meeting held on 20th April, 2012, the meeting deliberated and resolved to establish Jamii Housing co-operative society limited .The registration of the society has been finalised and we would like to invite interested members to register and join the Housing society. Who can be a member of the Housing Society? Only members of Jamii Sacco society are eligible for membership. Moving forward in the future, the Sacco will look into possibilities of opening up to the general public. What are the requirements for joining the Jamii Housing Society? Entrance fee of Kshs 2,000/= paid once. Attach copy of National ID card. What are the sources of Fund for the Housing Society? For the Sacco to establish a capital base, every member will be required to contribute non –withdrawable shares of Kshs 20,000 or 200 shares of Kshs 100 each. Members should accumulate shares within six months. What Activities and Programs will be undertaken through the Housing Society? The members of the housing society together with the interim committee will work together to identify land to be purchased within Kenya. When land has been identified, interested members will be advised to contribute towards the purchase of the same. You may pay in cash or borrow a loan from Jamii Sacco society or any other source. What are the benefits of joining the Housing Society? Easy acquisition of plots/ land through the Housing Society. Easy access to loans to develop the purchased plots. Easy processing of individual titles of ownership. 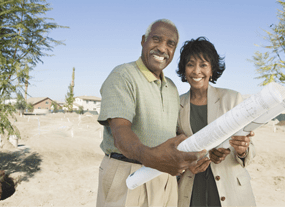 A member may choose to sell his plot / land for a higher gain. How do you withdraw for housing Society? Clearance of any Housing Society liabilities. Giving the Housing society 60 days notice. At this point a member may transfer shares to an existing member or next of kin. Jamii Housing society Limited Annual Finacial Statements For the year ended 31st December 2016. Click on this link to Download the Statements. Must be a member of the SACCO for a minimum of 3 months. Loan security is the Asset to be acquired. Loan term is a maximum of 12 months. Loan amount of up to Kshs.300,000 for motorbike, tuk tuk, posh mill, solar panel, generator etc. Grace period is one month. Repayment frequency is daily, weekly, fort-nightly or monthly. Collateral discharge process requires member to apply for release of security from the SACCO upon clearing the loan. The Asset must be fully insured to the term of the loan. Used Cars 8-10 years -24 months. The Sacco finances up to 60% of the forced value of the motor vehicle. Loan amount of Kshs 4,000,000. The motor vehicle shall be jointly owned with the SACCO and comprehensively insured to term of loan. Repayment and collection will be done either through check off, standing order, paybill or cash. Must be a member of the SACCO for aminimum of 3 months. Loan term is maximum of 120 months. Asset financed 5 times of Special savings. 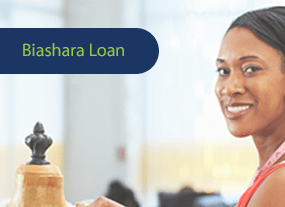 Loan amount of up to a maximum of Kshs.10,000,000. Valuation and legal charges to be borne by the member. Valuation and Charge to be conducted by SACCO appointed service providers. These are non-withdrawable savings but are refundable on exit. 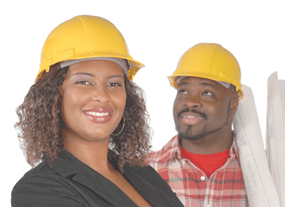 The minimum contribution is Kshs 2,000 per month or 10% of basic salary whichever is higher. All members who have not attained the above minimum monthly contribution are encouraged to do so. This is special savings for members who may wish to access educational loans. The same is considered in multiples of 3 times subject to ability to pay. Biashara Savings/Biashara plus Savings: These are savings accounts available to all members who operate businesses. Credit is considered in multiples of 3; subject to ability to pay and acceptable security. Loan approval is based on graduated levels. Registration Certificate from relevant government agency/department. Minimum number of members in a group is five (5) for investment groups and ten (10) for Micro - Credit groups. Original and complete copy of the Groups Constitution (Memorandum) and certified by Sub-County Social Development Officer (SCSDO). Each official who is a signatory should submit a current photocopy of the original identity card or current passport and one colored passport size photo. A letter from the Sub-County Social Development office introducing the authorized group. Minutes of the meeting where a resolution was passed to open an account with Jamii SACCO duly certified by Sub-County Social Development Officer. (SCSDO). Minutes stating the terms and conditions of borrowing and withdrawing of group funds from the SACCO. List of all Group members indicating their full names, identity cards numbers, personal cell phone numbers, email addresses & specimen Signatures. Payment of entrance fee of Ksh 300 per member. PIN certificate and Credit Reference Bureau (CRB) report for all group members. This is a special savings account for SACCO members who are interested to acquire assets such as land, housing, and commercial motor vehicles. Credit is considered in multiples of 3.5 and 5. Ability to access loans in multiples of 3, 4, or 5 times on ones deposits. Attractive returns on deposits payable annually. Accumulated funds available for on-lending to members. SAWA Account: This is a withdrawable savings account where salaries, refunds and loans processed are paid into and from where the members access them. Members make monthly savings to the same account. Junior Savings: This is a savings account available to junior savers (children below age 18 years old). Special Deposit Accounts (SDA): This account gives a member an opportunity to save and attracts high interest rates in 3 months, 6 months, 9 months or 12 months with minimum savings of Kshs.20,000/-. Golden Savings Accounts: Referred to as Retirement Savings. It attracts interest annually and can be pledged as collateral to loans. Holiday Savings Account: Open to members who would like to set aside some funds to be used during holidays or vacations of their choice. This is a unit of ownership of the SACCO and members earn dividends on the same annually when declared. The Share Capital is not withdrawable but can be sold or transferred to an existing member upon one’s withdrawal from the SACCO. The minimum share capital is Kshs.6, 000.00 or 300 shares of Kshs.20.00 each. To drive the SACCO business. To meet the SASRA requirements that is the Institutional Capital. It’s a long term investment with annual return. Cash Payment to the society. 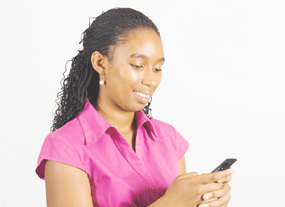 This is a money transfer service from SACCO to members using mobile phones. The members can also make deposits and loan repayments through M-PESA Pay Bill Number 532200. Withdrawal from CO-OP Bank ATM which currently cost Kshs.30.00 Maximum withdrawal per day is Kshs 40,000.00. Withdrawal from any other Visa Branded ATM cost may vary from ATM to another but is estimated on average at Kshs.200.00. The SACCO link card is also used to pay for goods and services in some stores eg Petrol Stations and Supermarkets e.t.c. With the same card members can withdraw up to Kshs300, 000.00 from any CO-OP Bank branch at a cost of Kshs 100 through Point of Sale (POS) over the counter. Members MUST request the office to activate the ATM card once they receive the ATM pin number. This is a service available in the SACCO for transfer of funds to members’ accounts in other banks. Short term loans at 8% recoverable up-front. Long term loans also at 8% recoverable upfront. 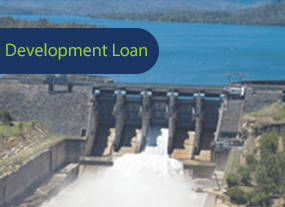 Development loans at 10% to take same type of loan. Clearance of other Bank and SACCOs loans is 1%. On behalf of Co-operative bank, the SACCO sells bankers cheques to members at a cost of Kshs 100 per leaf. The SACCO is in the process of introducing a mobile banking product where members will be able to access various services including limited credit facilities. This service will be rolled out in due course and all members will be notified accordingly. Facility available to members of Jamii SACCO and operating a FOSA accounts. Granted at 10% of member deposit. Granted based on the member’s ability to pay. •The member must be a check off based member from public service, parastatal or stable private organization. 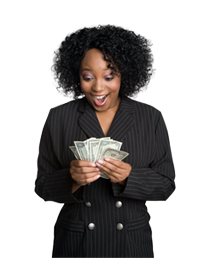 •The loan is granted immediately a member joins the Sacco and makes the first instalment. •1/3 of the loan granted will be transferred to the deposits and Ksh.6,000 is immediately transferred to the share capital. •The loan must be fully guaranteed by either guarantors or collateral. •Repayment period is 20 months. •Interest rate is 1.06% per month or 12.75% per annum on a reducing balance. •Ability is computed based on 1/3 rule of member’s salary. •Must be recovered through the payroll.